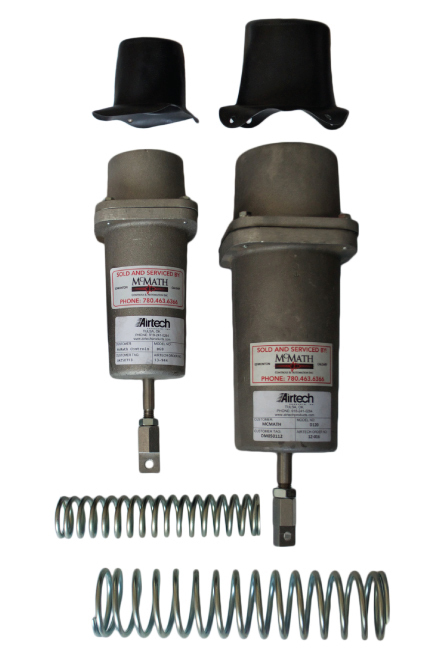 Airtech compressor actuators are manufactured in Tulsa, Oklahoma with the highest quality of material and service. All working parts in Airtech Pneumatic Actuators are enclosed and internal within durable aluminum housing. McMath Controls also stocks repair kits for all makes and models. Repair kits include guide bushing, snap ring, diaphragm, diaphragm washer, o-ring and gasket. All items are stocked and available to ship from the McMath Controls warehouse day of order. For more detailed information on Airtech actuators and louvers please visit the Airtech website.